Illamasqua have laid on a superb selection of events to celebrate our 2nd Birthday this Saturday 30th October! With celebrations across the country, there’s lots to be inspired by … and the fabulous bit … you’re all invited! With our emphasis on the mysterious alter-ego, the celebrations marry perfectly with the festivities of Halloween this weekend. Wherever you plan to party into Halloween this Saturday, make an appointment with your local counter or the Illamasqua store in Beak Street, Soho to have your alter-ego revealed and your Halloween transformed. 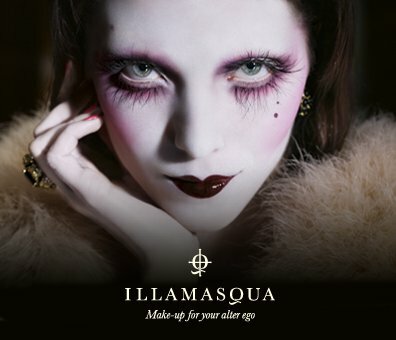 The Illamasqua Make-Up Artists are all excited to experiment with some devilish and eerie transformations, so come prepared with a look in mind or let them go wild and create your very own bespoke Halloween creature. It’s the perfect opportunity to trial those products you’ve been lusting after from the weird and wonderful Art of Darkness collection. Illamasqua’s flagship store in London’s Beak Street will be host to a live performance from the fabulous Viktoria Modesta, exclusively in the store to entertain and inspire you…. The theatre continues with live Make-Up tutorials from our expert artists of how to create that iconic Illamasqua look, such as the Master of the Night and Mistress of the Night looks. 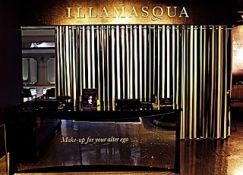 With Halloween creations and birthday celebrations, cupcakes and champagne on offer – the Illamasqua birthday party is one you’ll certainly want to RSVP too! Spaces are filling fast as everyone turns to Illamasqua to create their Halloween transformation, be sure to book your alter-ego in soon!